Well, when we planned on this location there was a chance that the Mt. Evans road would be closed. We were hoping to get up into the Summit Lake Park, but I knew there was a chance that we would not be able to use the road, so I had a back up plan. We planned to meet at Echo Lake Park and start shooting. There is a great view of the mountains there and it is absolutely gorgeous. Next we did a quick outfit change. Heather had been on the search for the perfect red dress for the engagement session. And all I can say is CHECK IT. And as with all of my sessions we created a video together. Check out their engagement video! The bell had just gone off and I had a lunch period after the class that I was subbing in, the voice on the other end spoke. "Hello, my name is Kathleen, you were referred to me by Mary who owns Metalmark Jewelry. My daughter just got engaged and I would love to talk to you about wedding photography." Well, Ben and Marissa had just gotten engaged and were flying in to see Marissa's parents. Kathleen, Marissa's mother, was doing a whole bunch of ground work. Boy, was she efficient, she had already booked the venue and a few others and was on to the photographer. So, we talked for about 45 minutes and I relayed to her my style and how I operate during a wedding day. Most importantly I talked to her about how I work to create a stress-free experience for my couples. I was so excited when I received an email from Marissa and Kathleen saying that they wanted to book me. Kathleen loved how prepared I was, how I took the time to talk with her, and how I work to make the experience stress-free. Weddings are stressful enough, you don't need to have your photographer, the vendor that is with you all day to create a more stressful experience. After the boring paperwork part, we set up a time to shoot engagement photos, and that is where magic happened. The engagement session location was South Mesa Trailhead in South Boulder. I love this location because it is (usually) quiet and you get an amazing view of the Flatirons. On this particular day, there were probably about 10 other photo sessions happening here, so it is not a secret location by any means. But the colors and the light were killer. These two met while taking their dogs to the dog park, and hit it off. 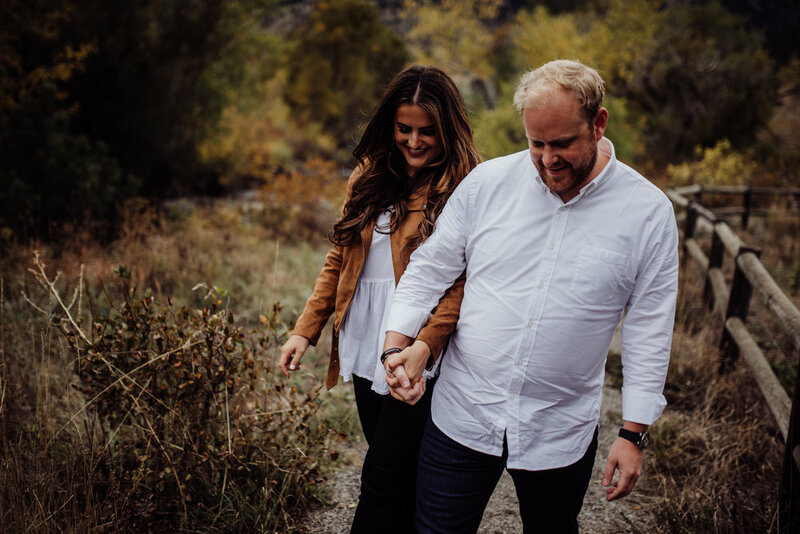 Their wedding will take place next year at the Vail Interfaith Chapel with the reception at The 10th Restaurant. I cannot contain my excitement as this will be my first wedding in Vail since moving back home to Colorado. This is going to be epic. This session was so awesome. I have always wanted to shoot in the RINO district here in Denver and I finally had the opportunity to do so. It has been a little bit since I have blogged, or really been on social media for that matter. I felt like I needed a mental health break for my own good, and guess what. The world did not fall apart while I was away. But during this time I had a super fun time shooting with Aaron and Taylor in the River North District of Denver here in Colorado. These two just got engaged, and when I put out a call on my Instagram that I was looking to do a shoot with a couple that had visible tattoos, they responded. Aaron is the Shop Manager at Dedication Tattoo in Denver, and Taylor is a hair stylist. when these two showed up they mentioned that they are super awkward in photos. I can't tell you how many times that I have heard this and the couples are not at all awkward. Aaron and Taylor completely killed it during this session. I had realized that while I have a good number of tattoos, that my portfolio was quite lacking in couples and people with ink. So I would like to remedy that, if you or someone you know would like to book a couples session, or even an individual session, and you have a good amount of visible tattoos, hit me up. I am offering half price tattooed couples sessions through 2017. 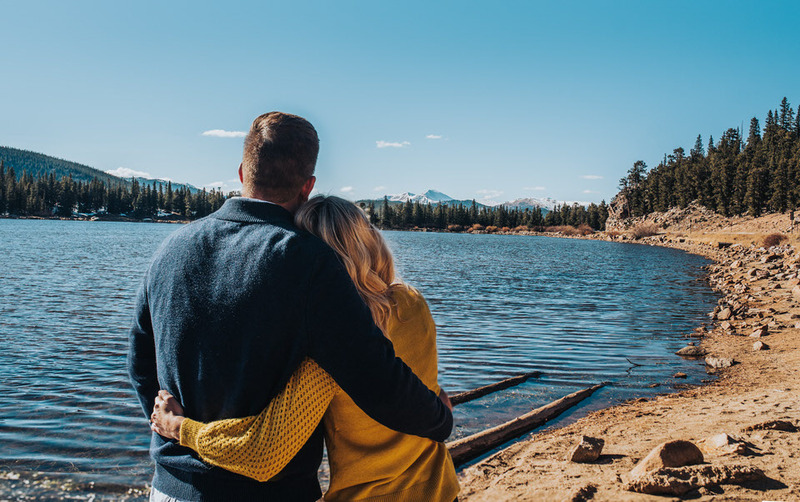 Colorado Elopement Photographer – Destination Elopements. Shooting intimate weddings and elopements throughout Colorado and beyond.